Before taking on the political stage Governor Wildstar was already accustomed to bringing awareness to the masses as a hip-hop artist QBALL! Please feel free to support our efforts and fund the revolution by purchasing a copy of his first album QBALL: THE REAL which can be found at online music stores like i-Tunes, Pandora, RHAPSODY, or by clicking one of the links below! QBALL IS BACK! Presenting the Trilogy project 2 fuel the pulse of the rebels and voice the sounds of the new American rEVOLution!!! Its been a little just over 10 years since I have released any music since my first album THE REAL which can be found on Pandora, i-Tunes, Amazon, and pretty much everywhere else music can be found online! My song ‘What’s This’ can also be heard in the motion picture comedy SCARY MOVIE 4! Not only has my hair grown but so has my consciousness and I now realize my purpose is to change the world any way that I can. Recently Ive been involved in activism and have noticed this revolution needs a soundtrack! So I’m putting on my mask for ANONymity and creating a 3 part musical project that will hopefully not only catch the ears of those seeking truth in this time of deception but will energetically inform EVERYONE about this worldwide movement!!! 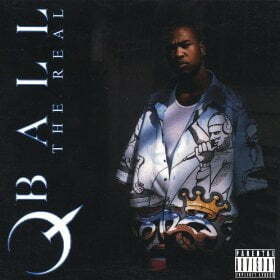 Album 1 – WHATCHA AINT HEARD is a collection of previously recorded unreleased songs by QBall! This album has been compiled in a mix-tape style setting with tracks by major artists, up & comer producers, and QBall himself!!! Album 2 – EVOLVE OR DIE! will be an album comprised of new songs highlighting the current rise of civil disobedience, protests against global corruption, and the human desire for peace, love and unity worldwide! Although it has yet to be recorded I already have the songs produced, written, and ready to go. No doubt in my mind that this will be an unrivaled timeless masterpiece that is poised to change music forever! 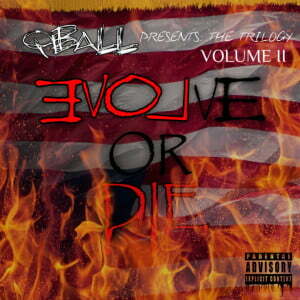 LISTEN TO THE FIRST SINGLE FROM THE TRILOGY VOL.2 EVOLVE OR DIE! Album 3 – ECLECTIC MOTION PICTURE (EMP): THE DRUMMOND BASE ADVENTURES is a LONG awaited project from those in my inner circle whom Ive discussed this with and have even had the pleasure of getting a sneak peek listen to a few of the songs already made! What will be a fantastical adventure through music of all kinds centers around a comic book storyline with art work following an intergalactic group of musicians that bring their other galaxy sounds to Earth! With special guest appearances and ear tingling sensational alternative styles of music I assure you that this album will be another musical gem! 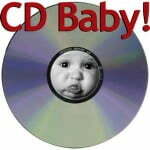 Oh yeah.. Did I mention all 3 albums will be given away for FREE!!! That’s right 🙂 Although donations of gratitude are much appreciated once each album is ready and available the QBall Presents Trilogy will be offered on site like YouTube, Bandcamp, Hulkshare, and various other online outlets!